Blue has grown on me lately. I always tend to find it difficult to pair as wearing two blues together (jeans anyone?) can go wrong so quickly. But I think I’m getting to some point where I really like pastel blues, turquoises, or even blue mints. And it does pair beautifully with one of my favourite colours, coral! The first two sections of the shawl are done. And match my maths, hurray! Now, let’s write the first draft of the pattern before anything else. 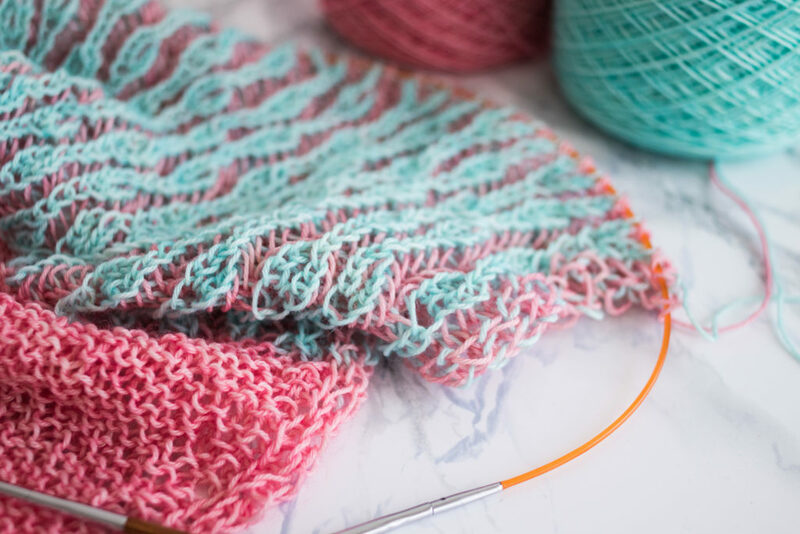 It might look like the tedious part of being a knitting designer, but for me, that’s where all the magic happens. I try to write all of my patterns as simply as possible, to enable you to tackle new techniques whenever you want and with only the pattern at hands. 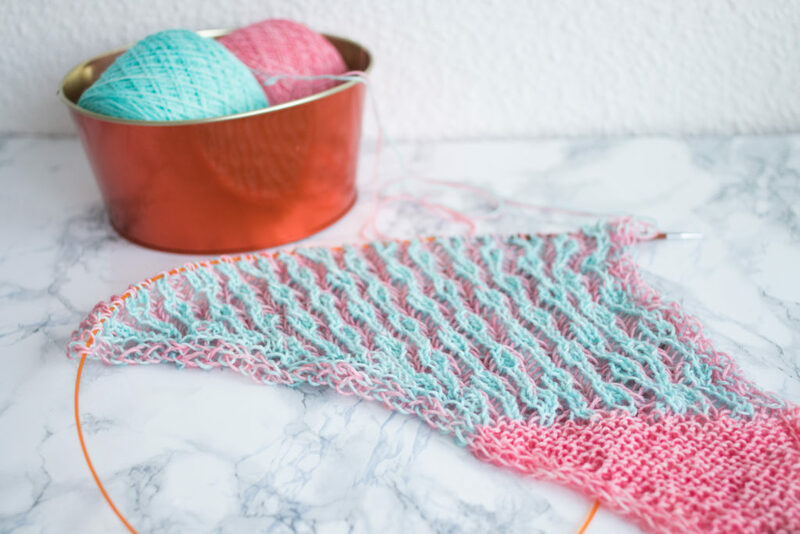 If the pattern is clear enough, all you have to do is to follow it by-the-letter and you’ll be able to create your own squishy shawl. Knitting shouldn’t be scary. Brioche knitting shouldn’t either. If you're reading this shortly after it was posted, the pattern is probably not out quite yet. But if you'd like an email when it is, sign up below!